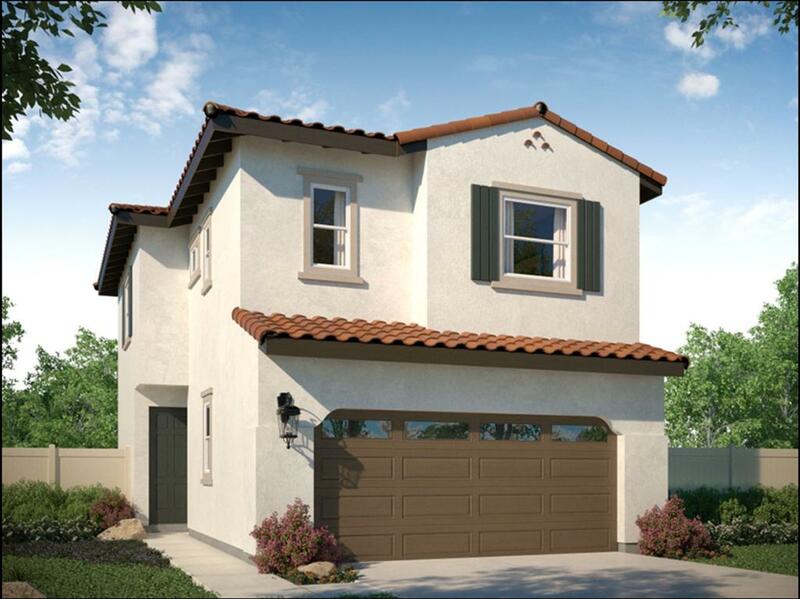 Resting at the foot of El Cajon's western facing hillsides is California West's newest collection of residences. This new neighborhood of Main Ranch will consist 139 single-family open floor plan designed homes, a neighborhood park with covered area and a tot lot! "Homesite 51" is a beautiful Italian Farmhouse style Plan 3 home offering 1,724 sqft, 4 bedrooms and 2 1/2 bathrooms, laundry room upstairs, oversized loft and a large master walk-in closet! EASY FREEWAY ACCESS - MOVE IN EARLY SUMMER! This Main Ranch residence features air-conditioning along with a "Whole House Fan" and many other energy efficient features. The kitchen is complete with Frigidaire stainless steel appliances including a self cleaning single oven, 30" five burner gas range, 30" range hood, microwave and dishwasher. The kitchen also includes upgraded White Shaker door style cabinets and beautiful quartz slabs at island and countertops! Custom electrical upgrades have also been added. Front yard landscaping is included with complete maintenance. *Specifications and features set above are to the best of the sellers knowledge, accurate as of the date hereof. Notwithstanding this fact, this listing is for informational purposes only and may not list all options, upgrades or decorator items. Seller reserves the right to change specification of features and upgrades included in this home, as necessary for time to time. Photos/virtual tours are of model home or renderings which are for artist conception only, not actual house. 2 CAR Garage is subject to vehicle specifications/size. Cross Streets East Main St. & Tammy St. Listing provided courtesy of California West Realty. Listing information © 2019 San Diego MLS, Inc.